Located between Ponta do Ouro and Maputo, White Pearl Resorts in Ponta Mamoli is a private, very exclusive Mozambique holiday hotel where nothing but the best accommodation, service and food is promised guests. 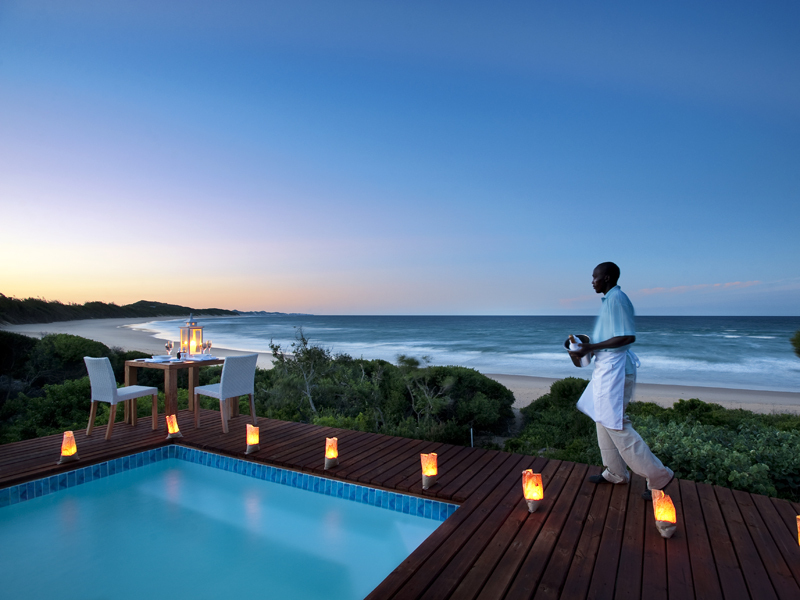 The resort is accessible from South Africa’s Kosi Bay border, a 25 kilometre drive by 4×4 on sandy tracks. 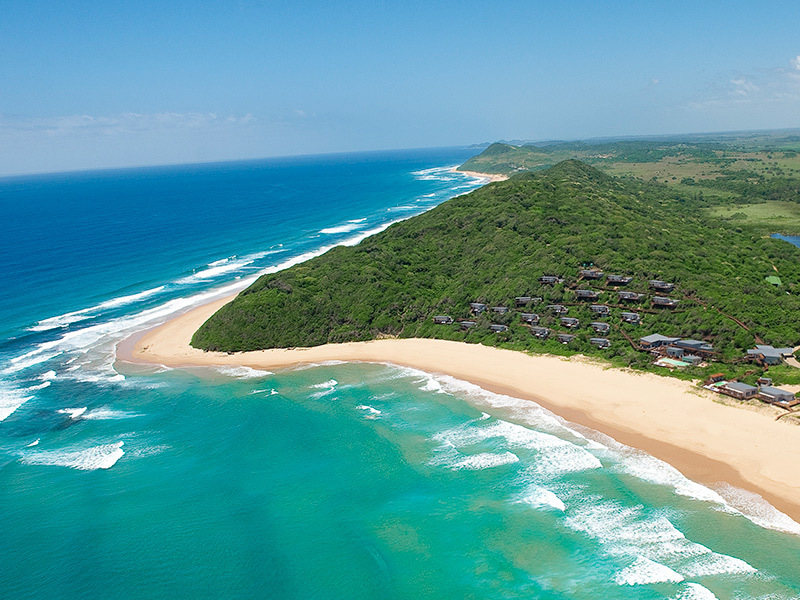 Or guests can fly in a private charter from Maputo to an airstrip at Ponta do Ouro and catch a transfer to the lodge. White Pearl lies 100 kilometres south of Maputo. This southern Mozambique resort is hidden in the dune forests of Ponta Mamoli where birds and small creatures flit. 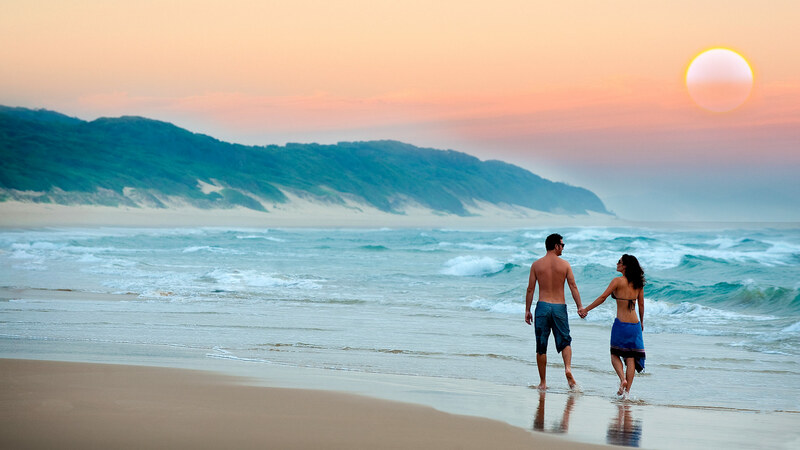 Views across the Indian Ocean make guests think that they are in a prime, remote region, but access to other facilities is not far off – Ponta do Ouro lies just up the sandy track where guests can find restaurants, pubs and a fresh market. White Pearl Resorts is unique. A place of extreme beauty and balmy temperatures. A place of outdoor activities from horse riding and walking to snorkelling, diving and ocean safaris. Voted one of the top 10 beaches in Africa, White Pearl is the place to be for the ultimate sunny summer beach holiday in Mozambique! 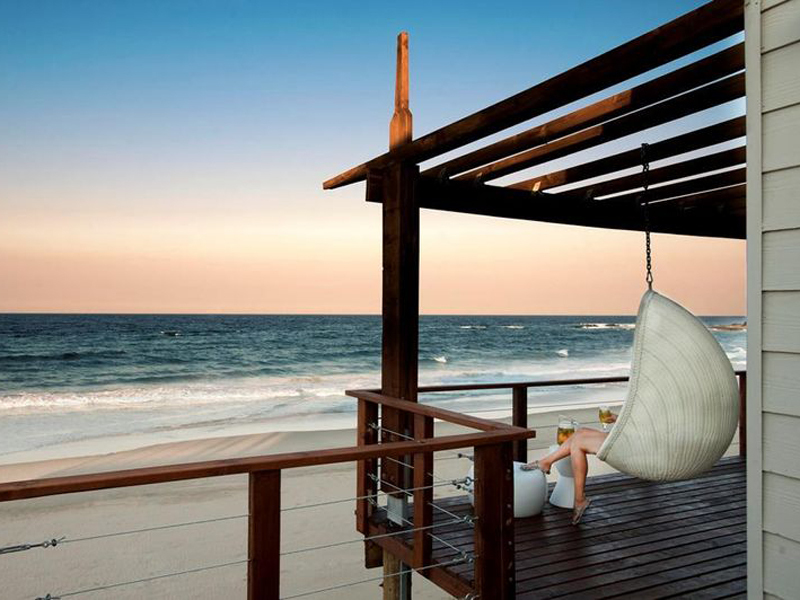 A Mozambique beach holiday spent at White Pearl Resorts, Ponta Mamoli, is exciting and stimulating. 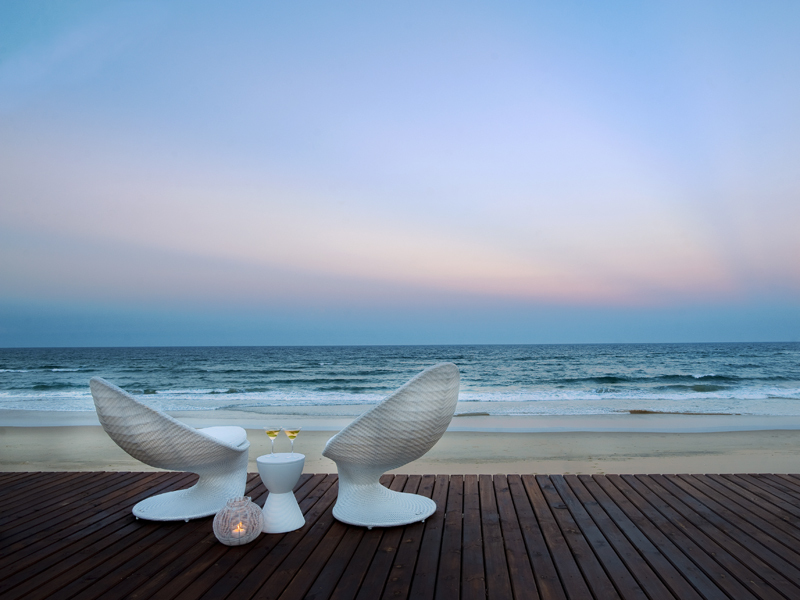 There is so much to do at this picturesque and highly regarded Mozambique beach resort. From honeymoon couples to families, groups of friends to business breaks, this holiday destination is ideal for guests seeking true rest and relaxation. Activities at White Pearl Resorts in the south of Mozambique are both exciting and varied. A long white uninhabited beach invites long walks at dawn and horse rides at sunset. The sparkling Indian Ocean draws guests to swim all day or book an Ocean Safari to see whales breaching and dolphins surfing. Swim with the dolphins – an unforgettable snorkelling experience! Deep sea diving at White Pearl Resorts is rewarding and magical – explore a pinnacle reef teeming with tropical fish and where and accredited PADI instructors take guests to see corals in all their colourful beauty.Try out new dive courses and gear at the registered PADI centre. Some guests may prefer to snorkel quietly in the bay or take a walk to see Loggerhead and Leatherback turtles laying eggs in the sand from November to February. 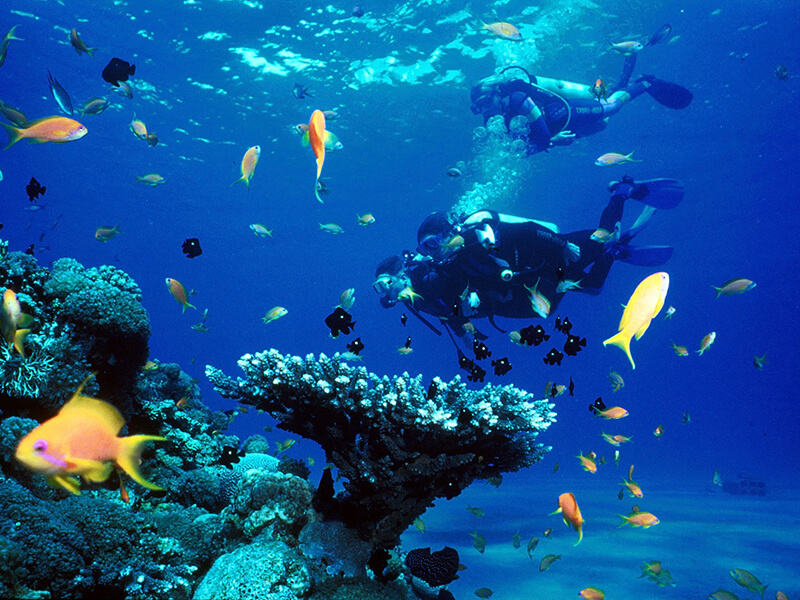 White Pearl Resorts is dedicated to the conservation of these marine animals. Honeymooners can book a romantic beach picnic for two with only the sound of the tide their companion for a few hours. Or spend a morning at the pampering spa offering a variety of signature treatments. White Pearl Resorts believes in a holistic holiday where guests experience real rest – of body, mind and spirit. Staff are attentive and professional, their smiling service part of what makes the Mozambique resort so well-liked and famous. A great way to relax and soak up the splendid surrounds is to spend time at the two bars and swimming pools – one right on the beach. The White Pearl Restaurant is known for its delicious dishes and top class service. 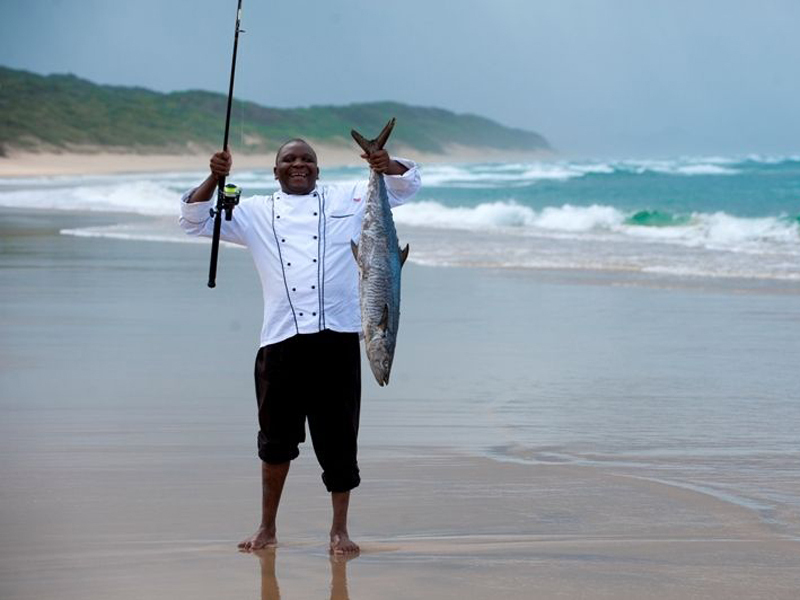 The food experience at White Pearl Resorts is something out of this world – this top class Mozambique resort Ponta Mamoli offers diners delectable meals outside under starry African skies or in the White Pearl Restaurant where candles light the tables. Guests have a great choice of where and what to eat depending on their mood – romantic private dining creates special memories at White Pearl. The Chef pampers their guests and staff set up secret dining locations every evening. Guests may dine on the beach, on the pool deck, or on their own private deck – each experience is extra special and the food always delectable. The menu at White Pearl emphasises the freshest seafood and all ingredients are sourced locally as much as possible. Growing Pearls is a community initiative where local farmers supply the resort with fresh vegetables. Individual tastes can certainly be catered for. The food experience at White Pearl Resort is highly rated and guests always rave about the variety of foods and the high standard of the gourmet menu – not to mention the friendly staff and service! 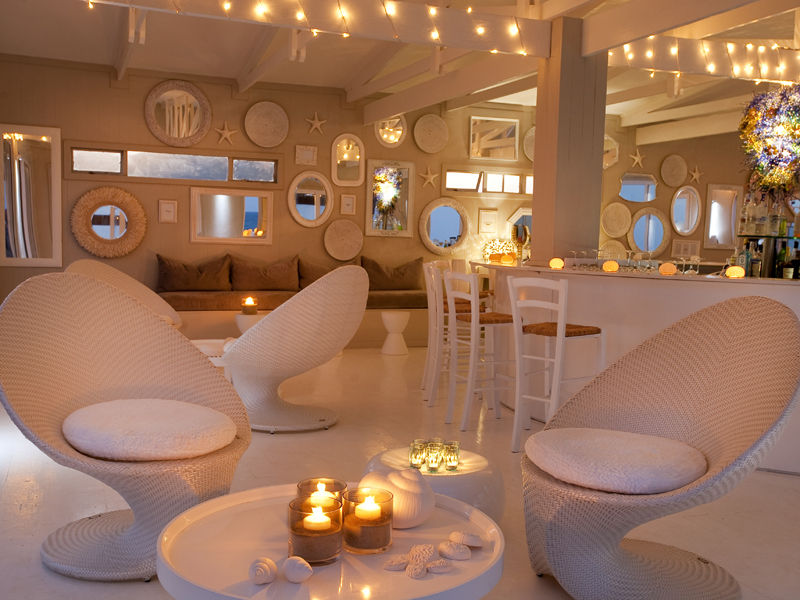 Meals are enhanced with some of the best wines from the five star wine list at White Pearl, Ponta Mamoli. The restaurant is famous for its prawns and lobsterwhile breakfasts boast platters of fresh fruits. The pool bar is the place to be as the sun sets over the bay, cocktail in hand, snacks to tease the taste buds. For guests who want to be alone, book a luxury beach picnic – filled with delightful foods and tastes, the meal will satisfy in more ways than one. Sip expensive bubbly while the tide ebbs and flows. Food at White Pearl is indescribable, nouvelle cuisine.